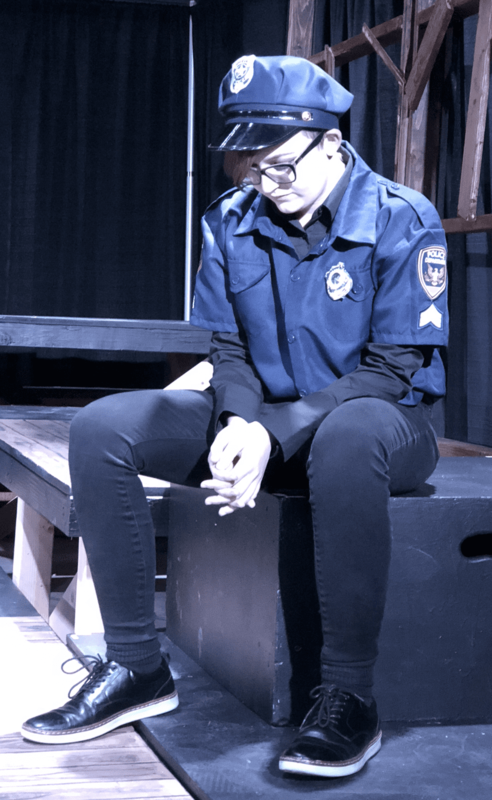 Last night, I had the privilege of watching the Theater at my teenager’s high school put on a performance of “The Laramie Project” about the reaction to the 1998 murder of gay University of Wyoming student Matthew Shepard in Laramie, Wyoming. Tabs, my teenager, played a few roles and was fabulous. I was actually surprised by the heavy topic and what it must be like for these teenagers to take on such a “dark” subject that has to really hit home. The kids were authentic and even kept the F-bombs in the scripts, which while shocking, seemed appropriate. Some of you know that when Tabs, my teenager was 11, she told us she was gay. She has had somewhat of a masculine style and had her long hair cut, now sporting a 1/2 shaved head. She also has had the same BOYfriend for 7 months now. Boyfriend? Yep. I asked her “Does this mean you are no longer gay?” and she said “Mom, there is no label. I like who I like because I like them as a person not because they are male or female”. Tabs shared with me a few weeks ago that one of her friend’s parents asked about her. Who’s that “_________” (Insert terrible word here used sometimes to describe a masculine looking female). When she told me this, I was SO MAD. Here we are in 2018, and someone’s PARENT has the nerve to still use a word like that and refer to a child. What kind of example does this set for our kids? And what kind of assumptions are you making about someone because of their DNA or Style or Hair Cut? I would like to think that we are living in a better world in 2018. I have to say based on recent politics, I’d beg that in some cases we have reversed some of the hard work we have done. While I may not understand all of the gender equality language the new generation is using including the “pronouns”, their statement of not wanting to be labeled does make sense, especially where it comes to not wanting to be put in a “box”. Shame on this kid’s Dad. I pray for this country, this world, and for everyone entering it. 20 years since this hate crime occurred. What have we learned?